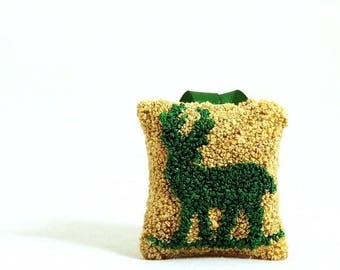 I made this ornament in punchneedle embroidery, which is akin to an ancient rug hooking technique on a smaller scale. 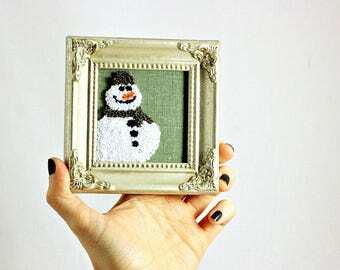 My design features a snowman face with holly and stars. 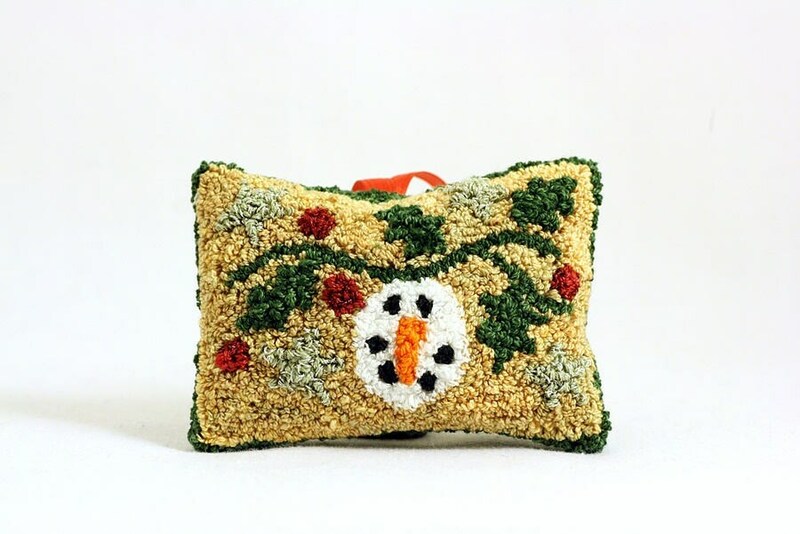 I drew up the design on weaver's cloth, punched out with hand dyed embroidery floss, valdani floss and DMC floss, and then sewed it together with snowman fabric and completed with green ribbon for hanging. 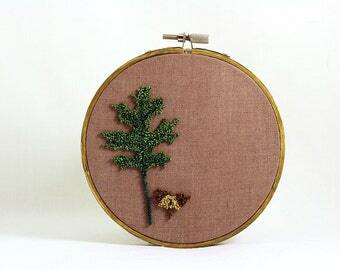 On the holly, berries, star, and snowman I use one strand of metallic thread with plain floss for a dazzling glittery effect. This design takes about 2 hours of hand punching to complete before it is ready to sew and stuff into the finished ornament.